to back up the presented information. Our web-site is dedicated to immune health and the vital role of glutathione in it. Our research into this topic started back in 2005 when the pain from peripheral neuropathy, that Ray has had for 15 years now, became overwhelming. At that point the doctors could offer him only prescription painkillers which he refused, because he was informed directly it would mean the end within 5 years. Such a prognosis did not sound appealing. It was time to look for answers on our own. Learning about glutathione and what it does in the body has been the most important medical discovery for us, because applying this knowledge took most of the pain away, brought Ray’s condition under enough control to allow him to continue living in all meanings of this word. Are you also in pain? 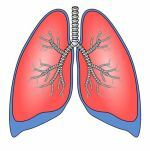 Is it becoming more and more difficult to fight back disease? Are you getting colds every month during the winter season? Or maybe your doctor gave you a clean bill of health, but you still feel unwell? Or maybe you, too, were told that there is nothing else to be done here? Continue reading, because learning about glutathione and how to keep immune health strong might change it all, as it did for us. Why would any of the above matter? Most of these activities and habits expose us to thousands of synthetic chemicals that deplete the resources of our immune systems. If immune system is under constant stress and not supported, eventually immune health is compromised, the defenses are breached, and ailments, as well as diseases may begin to overwhelm us. 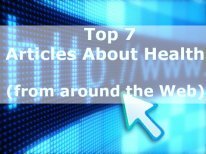 In the light of the recent avian and swine flu pandemics, constant salmonella and E. coli related food recalls, the newest threat of the Ebola outbreak and the sad reality of many people losing their healthcare benefits it is so important to know what the immune system feeds on to stay in top working order. We cannot stress enough the importance of the saying "An ounce of prevention is worth a pound of cure". We do have options on how to strengthen the immune system. 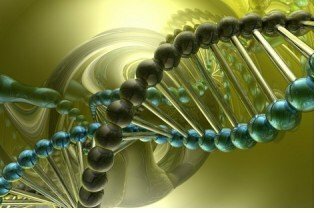 In many cases the real problem is that we have too many choices, too many natural immune boosters promising miracles and not enough studies to prove that they really work, to present the biological mechanism of how they work, or more importantly which one will work for me and my situation. That is why, in our opinion, it is very important to get educated about the recent scientific research concerning our immune health. Here on this web-site you will find information on glutathione (GSH), the cornerstone of your immune health, - a molecule produced by your own body and present in each and every cell of it - the major building block of your immune health. Educate yourself on what glutathione does in your body, what depletes the stores of this essential molecule, how to increase its levels in your body, and most importantly - how to do it safely, naturally and long-term. If you have any comments or questions feel free to e-mail us. We will be happy to help you. "The worst sin toward our fellow creatures is not to hate them, but to be indifferent to them; that's the essence of inhumanity." it can then be dealt with." "...We increasingly accept greater responsibility for our own well-being and are learning more and more about preventive maintenance." Dr. Jimmy Gutman, MD, FACEP, "Glutathione (GSH) - Your body's most powerful protector"
"The body is capable of healing itself, but only if we furnish it with the nutritional tools it needs to do its job." Dr. Earl Mindell "The Power Of MSM"
"You must get your levels of glutathione up if you want to keep your youth and live longer. 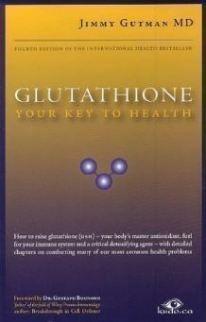 High levels of glutathione predict good health and long life. Low levels predict early disease and death." "...glutathione is your best line of natural defense against environmental toxins, cancer, heart disease, cataracts, and many other health problems." Dr. Alan Pressman, D.C., Ph.D. "Glutathione. The ultimate antioxidant"
"...glutathione, a special molecule found in all cells, is vital. We know that people with low glutathione levels have a greater cancer risk than people with higher levels of glutathione." "Natural strategies for cancer patients"
Would you like to share your opinion, express your view, or take a guess and also find out what other visitors think? You can always find the answer on our Glutathione page.